And the winner of the 2018 CMA Entertainer of the Year is ….. The Malpass Brothers! Well not really, but if the CMA had a shred of integrity left, the Malpass Brothers would have at least been nominated. This is not a knock against this year’s winner Keith Urban, who is an excellent rock guitarist (with very little country in his playing) and a passable (but very overrated) vocalist with a decent sense of humor, but having seen both perform, Urban is miles (or kilometers) behind in the ability to entertain. The Malpass Brothers toured with the late Don Helms, former steel guitarist for Hank Williams, have opened for music legend Merle Haggard on multiple tours and appeared on stages from the Shetland Islands to Ryman Auditorium to Merlefest. Gifted musicians and songwriters, the brothers have shared billing with artists including Ray Price, Willie Nelson, Doyle Lawson, Rhonda Vincent, Marty Stuart, Doc Watson and more. The title cut video from their “Memory That Bad” album hit CMT Pure Country’s Top Ten. After spending about seven years opening for Merle Haggard, the Malpass Brothers started working the bluegrass festivals along with other more normal venues. Although there is nothing at all bluegrass about their music, there is an interesting dynamic at work in the world of bluegrass which is that while there is a schism (of sorts) between the traditionalist “true grass” advocates and more modernist “newgrass” fans, both groups love the music of traditional country artists such as George Jones, Merle Haggard, Hank Williams, Lefty Frizzell, Loretta Lynn and the Louvin Brothers and it rare to find a group in either the truegrass or newgrass camps that does not include the music of the pre-1975 period in their repertoire. From what I’ve written above, you may think that the Malpass Brothers are nothing more than a covers band, but in fact, their repertoire is a mixture of covers and originals written by the brothers. In fact, their most recent album Live At The Paramount Theatre (taken from a PBS Documentary), features six original tunes along with three Merle Haggard songs, Lefty Frizzell’s “If You’ve Got The Money I Got The Time”, Ernst Tubb’s “Walking The Floor Over You” and the Jimmie Rodgers classic from the 1930s (later covered by Crystal Gayle) “Miss The Mississippi and You”. This album also includes a live performance of their CMT hit “Memory That Bad” which was written by Chris and Taylor Malpass. We interrupt this program to present an album that was recorded before ANY of the albums we’ve reviewed up to this point. Lost for many years, the masters for this album were recently recovered and are now released for your listening pleasure by the good folks at Yep Roc. It has always been the case that musicians and singers have been quicker to recognize Lauderdale’s talents than record executives, radio programmers and the general public. Lauderdale arrived in Nashville and started hanging around with Roland White, brother of the legendary guitarist Clarence White, and then (as now) one of the great mandolin players. Roland was (and is) an astute judge of talent and saw in Lauderdale an up and comer. White arranged to cut an album with Lauderdale in Earl Scruggs’ home studio with a band that included Marty Stuart on guitar, Gene Wooten on Dobro, Johnny Warren (of current Earls of Leicester fame) on fiddle, and of course White on mandolin. For reasons I will never understand the album was never released and presumed lost. The album is comprised of two Lauderdale originals and ten songs from the folk and bluegrass canon. 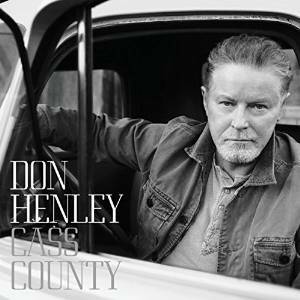 The album opens with a Lauderdale original “Forgive & Forget” that has the sound of a burnished country classic. The song is taken at a medium fast tempo with fine fiddle and Dobro solos and that country harmony. “Gold and Silver” comes from the pen of Shirley “Milo” Legate. I don’t know much about him, but it is a fine song that was originally recorded by George Jones. Legate also wrote some songs for Sonny James and placed bass for Sonny as part of his Southern Gentlemen. “(Stone Must Be) the Walls Built Around Your Heart” is an old classic Don-Reno & Red Smiley composition on which Jim sings the verses and Roland joins in on the chorus. Clyde Moody is largely forgotten now, but he was a fine singer and songwriter whose “Six White Horses” is a song that fits in the cracks between folk and bluegrass. Dobro dominates the arrangement on this bluesy song, but there is also a nice walking bass line in the song. L-Mack penned “I Might Take You Back Again”, a mid-tempo song about a fellow contemplating taking his wayward love back. “Don’t Laugh” was a classic brother-style duet originally performed by Rebe Gosdin & Rabe Perkins. Gosdin wrote the song which is definitely part of the bluegrass canon. I’ve heard recordings by the County Gentlemen, the Louvin Brothers and J. D. Crowe and have heard other acts perform the song in live concert . Rebe may have been a distant relative of country great Vern Gosdin. “Regrets and Mistakes” is the other Lauderdale original on the album. The song is a slow ballad with Lauderdale singing lead and White singing an echo and harmony. The song is nothing special but it definitely is not out of place on this album. It is rather difficult to categorize Shel Silverstein as a songwriter – he was all over the place. On “February Snow” Shel serves as a straight-ahead ballad writer. Bobby Bare recorded the song on an album. “That’s What You Get) For Loving Me” was written by Gordon Lightfoot, and covered by the likes of Johnny Cash, Peter, Paul & Mary, Waylon Jennings and Ian & Sylvia. In fact, it was Waylon’s first top ten single. The album closes with a pair of Alton Delmore compositions “Gonna Lay Down My Old Guitar”and “Nashville Blues”. The Delmore Brothers were perhaps the quintessential brother act. Roland and Jim do them proud . My only criticism of the album is that I would like for Roland’s mandolin to have been a little more forward in the mix. Lauderdale mostly sings the leads, and while he is a good guitar player, I think he left the pickin’ to the ace musicians that Roland collected for the project – when you look at the names below, you’ll see that leaving the pickin’ to them could never be a mistake. To me this album is a very solid A.
Til I Can Make It On My Own was Tammy Wynette’s fifteenth studio album since 1967, and represents a brief renaissance in album success, reaching #3 after her two previous albums failed to crack the top twenty of Billboard’s Country Albums chart. Her next album You and Me would reach #4, making it the last Tammy Wynette album to crack the top ten. 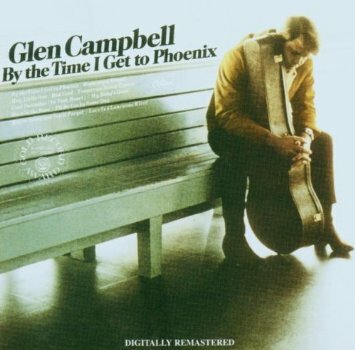 The album opens with the title track, which would prove to be her penultimate #1 country single, co-written by Tammy with George Richey and Billy Sherrill. Tammy often indicated that this was her favorite song of the many songs she recorded. The song depicts the vulnerability that Tammy excelled in conveying. Try to be in touch with you. Even ask too much of you from time to time. Lord you know I’ll need a friend. Let me keep on using you. ‘Til I can make it on my own. If you thought I still care for you. Charley Pride had a #1 single on “She’s Just An Old Love Turned Memory” in early 1977. The song was written by John Schweers, a songwriter who provided several hits to Charley. Originally cut by Nick Nixon, Tammy heard Nixon’s track and covered it. Reportedly she was considering releasing the song as a single. Her version is good, but it seems to work better from the male perspective. “The World’s Most Broken Heart” is another slow ballad, again given the full country cocktail treatment. The first verse reminds one of the opening to “The Grand Tour” (a George Jones hit) but the song isn’t nearly as well crafted or interesting. “If I Could Only Win Your Love” is next up. The song is a Louvin Brothers classic written by Ira and Charlie Louvin. Emmylou Harris took the song to #4 in 1975 for her first top forty chart hit. I don’t believe that the Louvin Brothers ever issued the song as a single, but their recording remains the definitive version. Their version originally appeared on their 1958 album Country Love Ballads. Tammy’s version is very good although the lead electric and steel guitar arrangements seem more honky-tonk than I’m accustomed to hearing for this particular song. Next up is “The Heart”, another slow ballad. It is a nice song, but at this point the album is getting overrun with slow ballads. “Love Is Something Good For Everybody” starts out as a slow ballad but after the introduction, it picks up the tempo to mid-tempo. It’s not a classic song, but represents a welcome relief from an album full of rather sad songs. The original vinyl version of the album closes with “Easy Come Easy Go”, a rather bland ballad that sounds like something the Carpenters might have recorded. Many listeners consider this to be one of Tammy’s best albums, but I disagree, since the album is basically comprised on a string of slow sad ballads with little relief. I think that if Wynette and Sherrill had interspersed another one or two up-tempo songs (not necessarily happy songs) I would like the album much more. The songs are mostly good and the performances good to very good but the album adds up to less than the sum of its parts. The Cactus Blossoms are Jack Torrey and Page Burkum, a pair of brothers from Minneapolis who discovered a deep love for the country music of the 1950s and formed their duo in2009. Their fresh, timeless music is something like a mixture of the Louvin Brothers and the Everlys. This album,their first for Red House records after a couple of self-releases, was recorded in live takes in Chicago with simple, stripped down arrangements allowing their sibling harmonies to take center stage. Oklahoma singer-songwriter J D McPherson (a Rounder artist also worth checking out) produces sympathetically. Their material is mostly written by Jack Torrey, one of the brothers (he changed his stage name), who writes literate, poetic lyrics and delicate, pretty. melodies, which work petrfectly with the close sibling harmonies. The opening ‘Stoplight Kisses’, which was a single last year, is an engaging upbeat number remiscent of the Everly Brothers. The title track is a dreamy ballad which is rather lovely. Equally sweet is the gently romantic ‘Queen Of Them All’. ‘Mississippi’ is mellow and atmospheric. ‘Clown Collector’ picks up the pace a bit, but while a solid tune, is the least effective track on a very good album. Also downbeat lyrically, but more gentle in its sound, is ‘If I Can’t Win’. The very pretty ‘Adios Maria’ is a sad story song about love and loss remiscent of Marty Robbins. Brother Page Burkum contributed one tune – the beautiful, languid love song ‘Powder Blue’. There is one cover thrown in, ‘No More Crying The Blues’, a rockabilly tune from 1959, written and originally recorded by Sun duo Alton & Jimmy. The song works well and offers a nice change of pace. The album closes with the wistfully valedictory ‘Traveler’s Prayer’. I strongly recommend this album to anyone who like their country music subtle. The duo is touring in northern states this month, some dates supporting Kacey Musgraves. There’s something very special about the harmonies created by two brothers. 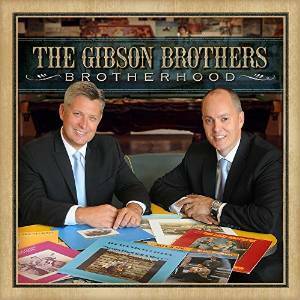 One of the best duos in modern bluegrass or country music consists of the Gibson Brothers, Leigh and Eric. in their latest release, they pay tribute to some of the great fraternal partnerships of the past, and the result is sublime. Their version of the Everly Brothers’ big pop hit ‘Bye Bye Love’ is darker and more melancholy than the perky original, drawing on the implicit sadness of the Felice/Boudleaux Bryant lyric. Another Everlys cut, ‘Crying In The Rain’ showcases the pair’s compelling vocals on a tune written by iconic pop singer-songwriter Carole King. The haunting ‘Long Time Gone’ (also once recorded by the Everlys) is another standout. The similarly titled but pacier ‘Long Gone’ comes from the same writer, Leslie York of the York Brothers, a sibling duo active in the 1940s and 50s. ‘The Sweetest Gift’, a beautiful story about a mother visiting a prisoner son, has been recorded by everyone from the Blue Sky Boys in the 40s to the Judds. The Gibson Brothers’ version is wonderful, imbued with the tenderness and desperation of the mother’s love for her “erring, but precious son”, and stands up against any of the previous versions, with an interesting arrangement of their harmonies. ‘Eastbound Train’ also deals with a prisoner’s loved one, and is a traditionally styled ballad telling the sweetly sentimental story of a little girl taking the train to seek a pardon for her father, who is not only in prison but also blind. The conductor is moved by her sad story and lets her travel for free. Also very much in traditional vein, the Louvin Brothers’ melancholy ‘Seven Year Blues’ is outstanding. ‘I’m Troubled, I’m Troubled’ picks up the pace with a jaundiced lyric, while the perky ‘Sweet Little Miss Blue Eyes’ brightens the mood. A tender ‘It’ll Be Her’ (a hit for Tompall and the Glaser Brothers) is gorgeous. The Gibsons are joined by Ronnie Reno, a onetime member of the Osborne Brothers’ band, to sing ‘Each Season Changes You’, a pretty plaintive song popularised by the latter. Reno also helps out on the upbeat ‘How Mountain Girls Can Love’. ‘I Have Found The Way’ is traditional bluegrass gospel, written by Bill Monroe’s brother Charlie and recorded by the Monroes in 1937,before Bill invented bluegrass as a discrete genre. Ronnie and Rob McCoury join the Gibsons on a sincere ‘What A Wonderful Savior Is He’. The lesser known ‘An Angel With Blue Eyes’ anticipates reunion in heaven with a loved one, an dis sung with commitment. The combination of compelling harmonies and great songs, backed by tasteful bluegrass arrangements make this an essential putrchase. The year 1989 saw the debuts and/or emergence of a fine crop of new artists that would continue the neo-traditionalist movement that flickered in the early 1980s with the arrival of Ricky Skaggs and started building up steam in 1986 when Randy Travis and Dwight Yoakam arrived. Garth Brooks, Clint Black, Alan Jackson and Travis Tritt were the biggest names to emerge in 1989, but there were others as well. This is not to say that the old guard didn’t produce some excellent records that year, even if they were having difficulty getting playing time. I will look at three of the old guard whose records particularly appealed to me in 1989 starting with the acknowledged master of the genre, the one and only “King George” – Jones, that is. The decade of the 1980s was a good one for George Jones as he finally got himself clean and remained in good voice; however, Father Time waits for no one and as the 1990s approached George’s chart success was beginning to wane. By 1989 when ONE WOMAN MAN was issued, George was 58 years old and beginning to struggle for airplay as he was crowded out by the vaunted “Class of 89”. George Jones albums during the 1980s tended to follow the formula of three or four singles (some of which were covers of old country classics) plus some other songs – often some more covers of old country classics – and some top grade new material. Even though the hot young songwriters weren’t necessarily pitching their good stuff at him, he was still finding enough good material to make some great albums. 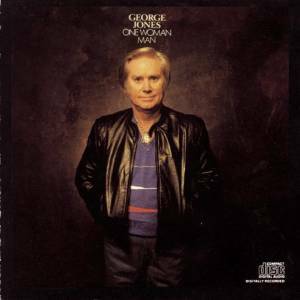 My favorite George Jones album of the 1980s was ONE WOMAN MAN. More so than any of his earlier albums in the decade, this album relied on older material. “One Woman Man”, the first single off the album would prove to be George’s last top twenty single as a solo artist, peaking at #5, this after a run of five consecutive singles that had missed the top twenty. The song, written by Johnny Horton and Tillman Franks had reached #7 for Horton in 1956. I liked Horton’s version but there is a decided difference between a pretty good singer like Horton and a great singer like George Jones. Track 2 on the album was a Louvin Brothers classic, “My Baby’s Gone. You really can’t beat the Louvins at their own material (although this song was written by Hazel Houser), but George does quite well with the song. The Louvins had that brotherly harmony going for them but the vocal harmony singers here are put to good use and the steel and fiddle are used effectively. My one criticism of the song is that it is taken at a slightly too fast tempo. Track 3 is the old Hank Cochran classic “Don’t You Ever Get Tired of Hurting Me”, recorded previously by, among others, Ray Price, Ronnie Milsap, Jack Greene. The Greene version remains my favorite version, but Jones never did wrong by a good song. Track 4 is “Burning Bridges” another old-timer, but this one originally by rock/pop star Jack Scott. Jack Scott’s version was excellent, as was that of Ray Price, but George takes a back seat to no one in being able to wring the pathos and emotion out of a song. Track 5 is a novelty song, originally titled “Yabba-Dabba-Do” but changed to “The King Is Gone (and So Are You)” in order to avoid threatened copyright litigation (which the songwriter & publisher would likely have won, but at great expense). In the song, a man whose girl has left him, laments the fact by pulling the head of Elvis off a Jim Beam decanter, pouring it into a Flintstones jelly bean jar and drinking up, imagining conversations with Elvis Presley and Fred Flintstone in the process. He eventually comes to the realization that his girl was never coming back. The song wasn’t a big hit but in the hands of almost anyone else, it would have been a total flop – it seems that only George Jones and Hank Thompson could get away with recording novelties (some of them really ludicrous) and scoring hits with them. This was the second single off the album and it reached #31 on the charts. The track features some nice dobro or slide guitar. George gets back to serious songs on Track 6 with “Radio Lover”. Thematically this song is very similar to Porter Wagoner’s “Cold Hard Facts of Life”, except that the protagonist is a radio disk jockey rather than a truck driver and the song has a less ominous set up than Porter’s classic. Our hero pre-tapes his show so he can spend his first wedding anniversary with his wife, walks in on her with her lover in bed with her and he dispatches with both of them – meanwhile his radio show is playing on her radio. This was the fourth single and it topped out at #62. Here in Central Florida the song seemed to get the radio airplay one would expect of a top ten single. I know I heard someone else perform Track 7, “A Place In The Country” before George Jones wrap his vocal cords around it. This song is about a man who worked in the city for thirty years but whose dream was to retire to the country. Track 8 was a Patsy Cline song, “Just Out of Reach”. It was not released as a single but was taken as the title track for Patsy’s third Decca album and became well known in the years following her death. While I prefer Patsy’s version, George has nothing for which to apologize here. The album closes with some original material in “Writing On The Wall” (track 9) and “Pretty Little Lady from Beaumont, Texas” (track 10). In the hands of most other performers, these songs would be filler, but in the hands of George Jones they are decent songs . They also point out why George was turning to so much older material – he simply wasn’t being pitched the best new material. “Writing On The Wall” was the third single taken from the album and it reached #31. The year before the song had reached #96 for Kenny Carr. For his next album, 1990’s YOU OUGHTA HERE WITH ME, George reversed course and obtained a batch of new songs. None of them would become hits (and the two singles released from the album would not chart at all) but one of the songs, “Ol’ Red” would reach #14 for Blake Shelton in 2002. YOU OUGHTA BE WITH ME marked the end of the line for George Jones with Epic. From here Jones would go to MCA for a few albums and then to MCA and various other labels, eventually settling into elder statesman status. George’s solo albums from here would be spottier affairs, but there would be a number of special projects involving guest artists that would keep his face in front of the public. Still, his penultimate album for Epic was a fine effort well worth digging out to play, and I do, periodically. It would be in my top ten albums for 1989. Straddling the boundaries between traditional country and bluegrass, the close sibling Louvin-style harmonies of Josh and Wayne Crowe are always worth hearing, especially as the duo have a penchant for picking great songs. Their latest album is no exception. A number of country classics given bluegrass instrumentation include the opening ‘Lost Highway’, written by Leon Payne but best known from Hank Williams’ recording. 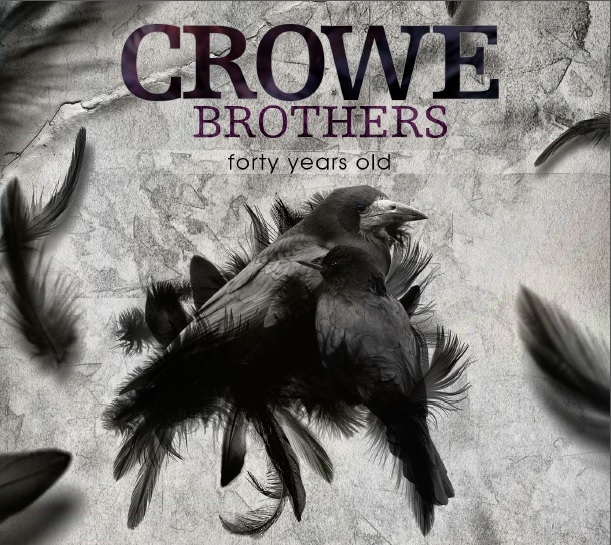 the Crowe Brothers’ version is excellent. I also enjoyed ‘Excuse Me, I Think I’ve Got A Heartache’, which is suitably plaintive, with soaring fiddle. The romantic ‘Send Me The Pillow’ is also nicely done, while a bluegrass classic ‘Don’t Let Our Love Die’ is beautiful. The pleasantly philosophical ‘Someday My Ship Will Sail’ is less well known, but the Allen Reynolds tune has been recorded in the past by Emmylou Harris and Johnny Cash. ‘I’ve Got The Moon On My Side’ was written by Tom T Hall and wife Dixie with Troy Engle. It has been released as a single for bluegrass radio. It has a perky feel as the protagonist takes comfort in the country moonlight while his ex lives it up in town. The quirky ‘Livin’ In A Mobile Home’ was written by country songwriters Rory Michael Bourke and Ronny Scaife. It celebrates a life on the road in a Winnebago, and is entertaining and memorable. ‘Green Fields Of Erin’ is about the Irish emigrant experience and the longing for home. The more-or-less title track ‘You Turned Forty Years Old’ is an old man’s fond tribute as his beloved son reaches a landmark age, written by Steve Watts. A charming lullaby rhythm and melody make this very memorable as the protagonist reminisces about his boy’s childhood. ‘Where Will You Be’ is a gospel tune written by Wayne Crowe and delivered with good cheer. ‘Angel Mother’ is an old fashioned (in a good way) pure bluegrass tribute to a mother. The set closes with the rapid-paced ‘Two Feet On The Floor’, which is typical up-tempo bluegrass. Although Rhonda Vincent’s pursuit of a mainstream career resulted in only two albums, it took her away from the bluegrass scene for nearly a decade. With the major label phase of her career now over, Rhonda returned to the indies and began a decade-long association with the roots-based Rounder Records. The aptly named Back Home Again, released in January 2000 was her first project for the label. It was an exciting time in bluegrass, as the genre was enjoying somewhat of a commercial resurgence. 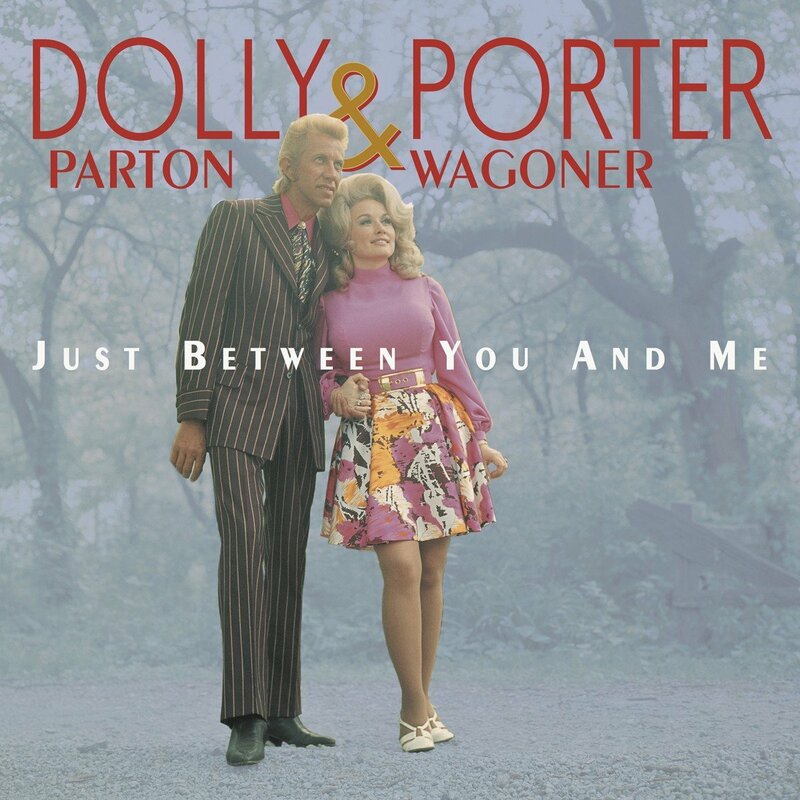 Dolly Parton had released the first album of her bluegrass trilogy a few months earlier, and the following year the O Brother, Where Art Thou soundtrack would be named Album of the Year by the CMA. Back Home Again was produced by Rhonda with Ronnie Light. In addition to singing lead vocals, Rhonda also played guitar and mandolin on several tracks and was also joined by her brother Darrin who sang harmony. 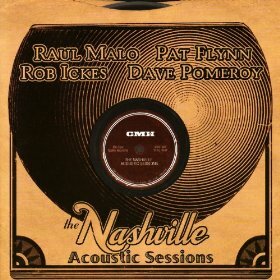 Many of Nashville’s finest musicians, including Jerry Douglas on dobro and Glen Duncan on fiddle, also participated in the project. Rhonda and Darrin’s vocals soar on the opening, banjo-led track “Lonesome Wind Blues”, a cover of a Bill Monroe classic. Equally good are their take on Jimmy Martin’s “Pretending I Don’t Care”, and “Out of Hand”, a cover of a Louvin Brothers song on which Rhonda and Darrin are joined by their father Johnny Vincent. “Passing of the Train” is an updated version of a song that Rhonda had included on her first mainstream album, Written In The Stars. Like most of Rhonda’s albums, not everything on Back Home Again is strictly bluegrass; three contemporary country songs are given bluegrass arrangements, with stunning results. “When I Close My Eyes”, my favorite track on the album, is far superior to Kenny Chesney’s 1996 original and Rhonda’s take on “You Don’t Know How Lucky You Are” is equal to Patty Loveless’ 1993 recording. And after hearing Rhonda sing Dolly Parton’s “Jolene”, it’s somewhat surprising that Dolly herself never did a bluegrass version of the song. I’d never thought of it as a bluegrass tune, but it works extremely well with an acoustic arrangement and soaring harmonies on the song’s chorus. The album’s only misstep is “Little Angels”, a song sung from the point of view of a child sexual abuse survivor. The tune is pretty and it is well sung and played, but it all sounds a little too pleasant for a song about such a weighty and uncomfortable topic, and as such, it doesn’t quite work. While it’s regrettable that Rhonda didn’t enjoy the commercial success she deserved in mainstream country, after listening to Back Home Again, one can’t help but think that perhaps things worked out for the best, as bluegrass is where she truly belongs. Some mainstream country fans are resistant to bluegrass, but there is much to like in this collection, so it’s well worth keeping an open mind and giving it a try. Emmylou Harris’s debut for Reprise was an artistic masterpiece which stands up well today. Recorded in LA with Canadian producer Brian Ahern, who Emmylou was to marry a few years later, it brought in the influences of the California country-rock scene in which Emmylou had been immersed during her time with Gram Parsons, fusing them with some very traditional music. The musicians included Herb Pedersen (later a member of the Desert Rose Band) as the principal harmony singer, the Eagles’ Bernie Leadon playing a variety of instruments, soon-to-be Hot Band members James Burton and Glen D Hardin, and Fayssoux Starling, wife of John Starling of the bluegrass group The Seldom Scene as the main female harmony voice. Emmylou herself played acoustic guitar on a number of tracks. Her first country single was the beautiful lost love ballad ‘Too Far Gone’. Written by Billy Sherrill and given a delicate string arrangement reminiscent of his work with Tammy Wynette (who had also recorded the song), it failed to make any inroads for Emmylou despite an intense yet understated performance imbued with anguish. It was re-released in 1978 to promote the compilation Profile, and then reached #13. Gram Parsons had introduced Emmylou to the music and perfect harmonies of the Louvin Brothers, and a sparkling reading of their ‘If I Could Only Win Your Love’ was her first big hit, peaking at #4 on Billboard. Pedersen plays banjo here as well as supplying perfect harmonies, making this a true classic recording which stands up to the original. Emmylou herself wrote just one song, the exquisitely beautiful ‘Boulder To Birmingham’, reflecting on her grief for the death of Gram Parsons. With echoes of gospel in the lyrics and folk in the melody (supplied by co-writer Bill Danoff) and arrangement, Emmylou provides a worthy tribute to her mentor which exudes sorrow. Perhaps in another tribute to their work together, she also covered the Everly Brothers’ ‘Sleepless Nights’ (a Felice and Boudleaux Bryant song most recently revived by Patty Loveless), which she had previously cut with Gram for their second album together, Grievous Angel, but which had been omitted from the final version. It was still common practice in the 1970s for artists to cover recent hits. Emmylou picked Dolly Parton’s autobiographical ‘Coat Of Many Colors’ (a hit for her in 1971), and this tenderly sung version with its mainly acoustic backing and the angelic harmonies of Fayssoux Starling, is convincing even though her own background was far from the rural poverty which inspired the song. She also sounds beautiful if mournful on the Beatles’ ‘For No One’. It wasn’t all delicate ballads. The good-tempered mid-tempo wailed drinking song ‘Bluebird Wine’ which opens the album is actually my least favorite track vocally, but gets things off to a sparkling start instrumentally. It is notable as the first ever cut for the then-unknown Rodney Crowell, who Emmylou was soon to ask to join the Hot Band. There are committed honky tonk numbers in a spunky cover of Merle Haggard’s broken hearted ‘Bottle Let Me Down’ with Leadon and Pedersen singing backing, although this doesn’t quite match up to the original. Emmylou also sang the definitive version of Shel Silverstein’s sympathetic (even triumphant) portrait of a faded honky tonk angel he calls the ‘Queen Of The Silver Dollar’ (previously recorded by Dr Hook and a hit for Dave & Sugar in 1976). Linda Ronstadt and Herb Pedersen sang harmony on Emmylou’s version. The album sold well, reaching #7 on the country albums chart, and was eventually certified hold. 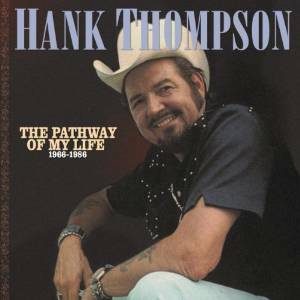 It has been rereleased on CD, both with the original track listing and in 2004 with two additional songs, ‘Hank And Lefty (Raised My Country Soul)’, which had been a minor hit for the African-American country singer Stoney Edwards a few years earlier, and ‘California Cottonfields’ (a Haggard album cut written by Dallas Frazier and Earl Montgomery)). Both are fine songs well performed by Emmylou, and it is well worth seeking out this version for those songs (or downloading them individually if you already have the album). On what I believe is their tenth album, the bluegrass-singing brothers from rural New York state (Leigh and Eric) offer compelling tenor vocals with an edge and the kind of close harmonies only siblings can produce, fine songwriters with an ear for melody and the willingness to put the song at the center, and serve it sensitively with the right vocals and instrumentation for that particular song. This album (their second for Compass Records) is produced by the brothers with their bass player Mike Barber. The excellent, and never overpowering, solid bluegrass backing comes mainly from the brothers’ band. Eric plays banjo and Leigh guitar, and the band is rounded out by Clayton Campbell’s fiddle (whose playing sings beautifully over the rhythmic instruments) and Joe Walsh’s mandolin, with Mike Witcher guesting on dobro on a couple of tracks. There is an interesting selection of material, just over half of it written by one or both of the brothers. Leigh duets with Claire Lynch on his own ‘Talk To Me’, a soothing song about a marriage in a little trouble due to lack of communication, but not beyond salvation, while Alison Brown takes over the banjo strings. My favorite of Leigh’s solo compositions is the closing track, the historical ‘Safe Passage’, about his ancestors, a Scots family who emigrate to Canada, whose son or grandson then fights in the American Civil War and settles on a farm in upstate New York. The story ends with the brothers themselves, having left the family farm for another kind of journey, for a life in music. This reflection is inspired by a woman the protagonist has taken for granted, leaving, but overall the mood on this album is a fairly happy one. Even the extremely bleak lyric of ‘One Car Funeral’, which the pair wrote with Jon Weisberger about a man who has touched other’s lives so little he has no one to mourn his death, is married to a surprisingly cheery tune which keeps the mood upbeat. Perhaps this is the point: that this man has touched life so little that even the singer and musicians don’t care. Alongside the new songs, there are several relatively obscure covers, my favorite of which is the O’Kanes’ country hit ‘Just Lovin’ You’ (#5 in 1987). There are also an enjoyable, slightly raucous take on Jim and Jesse’s ‘I’ll Love Nobody But You’, and a beautifully sung low key version of the religious song, ‘He Can Be Found’ (recorded by the Louvin Brothers on their classic Satan Is Real album). Ricky Skaggs shares lead vocals and harmonies with the brothers on the new but very traditional sounding trio, ‘Working As We Rise’, which recalls the melody of ‘I’ll Fly Away’. I also really liked Chris Henry’s cheerful rambling song about ‘Walking West To Memphis’ to be reunited with a more sedate loved one, the kind who drinks lemonade rather than her lover’s choice of whiskey, but has a powerful enough attraction to drag him from his gambling ways, even if he has to walk all the way from Nashville. This is a very good collection of material, sung and played beautifully, which grows with every listen.